When it comes to finding a professional and quality locksmith Richmond TX, look no further! Call Us at (832) 525-9000. At Keys 4 Cars, we offer the most affordable and comprehensive locksmith services in the area, along with highly qualified and licensed technicians with years of experience and well reviewed. We provide our Richmond customers with fast friendly service along with the highest quality products and tools in the industry. You can expect one of our technicians to arrive to your location within 30 minutes or less of calling for any locksmith emergency including broken keys in the ignition or a lost apartment key. We take pride in providing our clientele with the latest advancements in technology to re-code transponder keys as well as create keys on the spot. The equipment used by our technicians will in no way damage your car or your door even if we have to pick the lock. We always provide professional and quality locksmith services to our clients in Richmond TX and the surrounding area. If you are living in Richmond, it is essential to get in contact with a trusted name in locksmith service available in the area. Then you must need to contact us as we, Keys 4 Cars has immense reputation as locksmith Richmond. We have already caters locksmith services to our thousands of customers in different kinds of situations. Whether you need residential locksmith, commercial locksmith or emergency locksmith, Keys 4 Cars offers all kinds of services in Richmond location. Our expert local locksmiths are efficient enough to offer a complete locksmith solution. Whenever you need any kind of locksmith service, feel free to contact us we are always ready to attend your call and provide the exceptional customer service irrespective of the time you call us. In fact, one fact about Keys 4 Cars is that a large portion of our business runs by the referral services from our satisfied customers. At Keys 4 Cars, we can proudly claim that all our customers are truly satisfied and they spread about our service. Let our locksmith technicians to determine the best locksmith solution for your place, be it the needs for your residential or commercial place. Our expert technicians are not only professional, but also trained with the latest locksmith technologies. Therefore, there is hardly any locksmith related problem that they cannot solve. 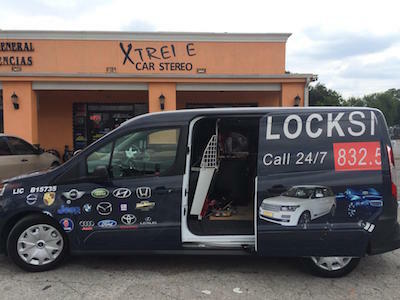 Our technicians are ready to help you 24 hours a week in and around Richmond with residential and commercial service for lock rekey, key replacement, car lockout, car key replacement, key programming, all key making, locking picking and many more! No one can predict when you need to contact locksmith in Richmond for rekeying your front locks or change your master key system at your house! Our professionals have years of experience in assisting all types of key and safety requirements. From home security to garage lock, we specialize in lock replacement, ignition key replacement, lock rekey, all types of home security options and other locksmith solutions. For any kind of automotive locksmith services, most of the residents in Richmond blindly trust the locksmith solutions provided by Keys 4 Cars as we are the best automotive locksmith with years of experience in all types car key locksmith services including car lock out service, fixing broken car locks, rekeys, new lock installation, ignition replacement, chip and transponder key programming, lock picking, access control system and much more! We understand that your commercial place always needs special attention and unique locksmith solution with the best locksmith service. That’s why Keys 4 Cars provides the best commercial locksmith solution without exceeding your budget. We are the known leader in providing high security locksmith services with master locks, combination locks, keyless entry, deadbolt locks, door lockset, installing safe locks, electric lock doors and so on for the commercial areas. Irrespective of hours, Keys 4 Cars offers the best locksmith solution for all kind of emergency needs as we know that you may need our help at any moment. That’s why just keep our contact number (713) 904- 1030 and give us a call whenever you need! You will be assisted by the best locksmith technicians at your locality as soon as you will contact us! 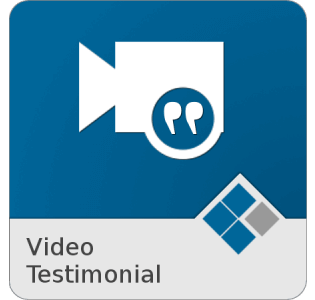 When our technician arrives to your location in Richmond, they will have all the necessary tools and quality products to solve your problem in a matter of minutes.